1. 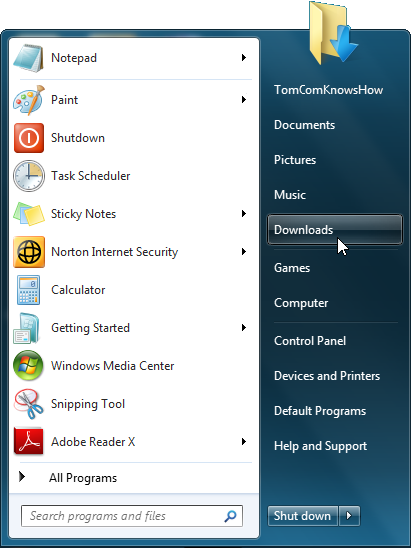 Right-click on Start in the windows desktop taskbar and select Properties. 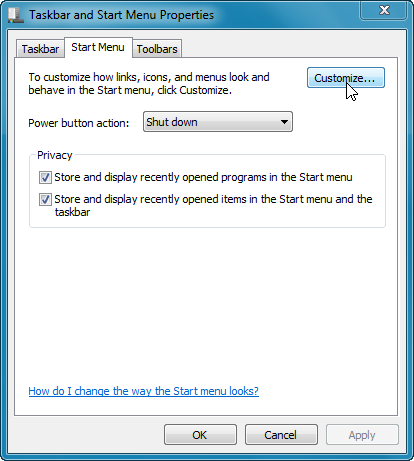 This opens the Taskbar and Start Menu Properties window to the Start Menu tab. 2. Click to open Customize... Scroll down to Downloads and tick the radio button selecting Display as a link. Now, close both open windows by clicking OK in each. 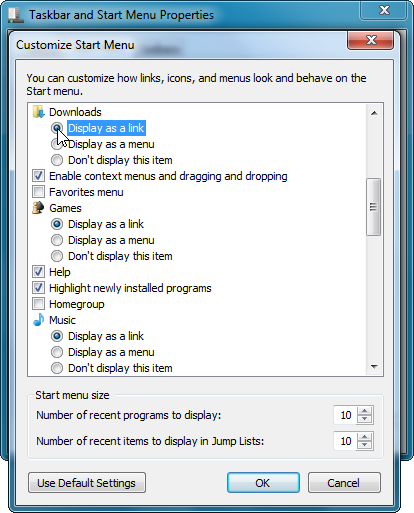 * Add Videos to the Start Menu as well, by ticking the radio button for it. * Scan all downloads for viruses, spyware, malware, etc.